3rd AUGUST 2010 - ASYCUDAWorld LIVE at Big Creek!! 24th JULY 2010 - ASYCUDAWorld LIVE at Punta Gorda!! On the 24th July, 2010, Punta Gorda in the south became the first Customs Office in Belize to host the implementation of ASYCUDAWorld. Punta Gorda has a new Customs building and a small staff of only three officers. Goods coming from Guatemala through Puerto Barrios and Livingston are now being cleared using the Simplified Declarations and full Dceclarations. The only broker in PG is accessing the system via the Internet using Direct Trader Input. Check the FAQS section for tips on resloving issues related to Logging on to ASYCUDAWorld. 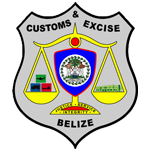 Belize Customs started accepting elctronic manifest on the 1st August 2009. Two files are now available in the downloads section. The first "ManifestSchemaForShippers.xsd", is the template to be used by Carriers/ Carrier Agents in order to create their e- manifests. It consists of a general segment and waybill segments for any number of waybills contained in a manifest. The second, " BillOfLadingSchema.xsd” is the template to be used by Carriers/ Carrier Agents to do Consolidation/de-Consolidation. These files can be downloads from the Downloads page. A Manifest XML Message Description is a also available for download. Customs is now accepting applications for User Accounts on the new Customs Information System. Applicants may be Importers/Exporters, Brokers, Clerks, Shipping Agents or Consolidators. A company may apply for accounts on behalf of any of the above mentioned and must complete Forms DTI01 and DTI02. Any of the above mentioned may also apply as individuals by completing forms DTI01 and DTI02. Use of the user accounts will be governed by the Customs Direct Trader Input (DTI) Policy. Users will be required to sign a Memorandum of Understanding with Customs prior to approval. Application forms (link to location) must be completed and presented to Customs at the Customs Office in Belize City. The Customs Reform and Modernization Project team is currently training Customs Brokers on "How to Create Import Declarations". The objective of the training is to introduce the Brokers to the features of the system that they will be using to create import declarations. Both theory and practical sessions are presented which will provide usefull experience for Brokers. More than eight Brokers are expected to be trained between the 10th -21st August 2009. This training will fulfill part of the criteria for getting a user account to access the Customs Information System. Some users using laptops have been having problems accessing ASYCUDAWorld on the Customs Information System. The problem has been attributed to the various versions of JAVA in use. It is recommended that users use java jre-6u5-windows-i586-p-s (java version 1.6). A link to this version is available here. Please feel free to write us concerning any issues of logging in or accessing the application. Belize Customs launched the Customs Reform and Modernization Project on the 26th January 2009. The overall objective is to improve Belize’s economic performance and public finances through strengthening of the capacity of the Customs Administration to monitor international trade and ensure efficient collection of import duties and taxes. The latest version of ASYCUDA called ASYCUDAWorld is being implemented and the project is expected to last two years.